My Uncle who was a Seattle Vice Cop once told me that in order to be a good cop you have to have a criminal mind, in other words you have to think like a criminal to catch a criminal. 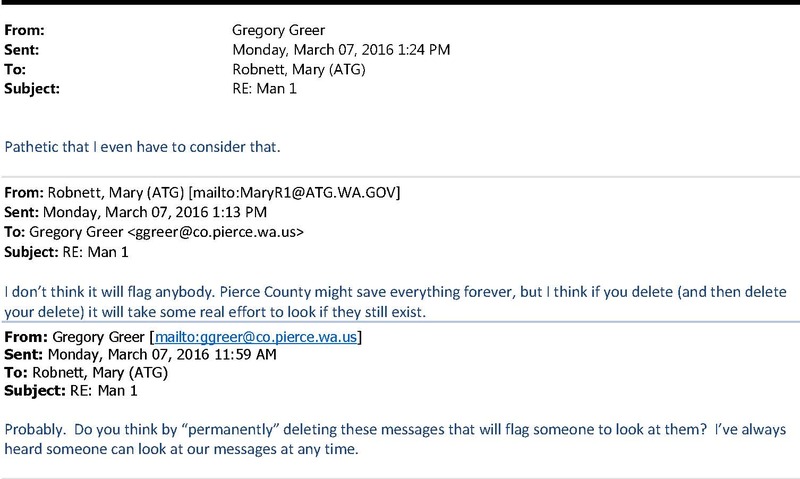 That implies that you have to have some modicum of intelligence, in Stevens County evidently that is not a requisite. I took my eyes off of Stevens County for just a minute and everyone lost their marbles… No worries, I’m right back on it. 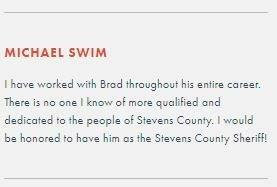 Deputy Michael Swim has been working in Stevens County law enforcement for approximately 20 years now, and is currently a deputy in the Stevens County Sheriff’s Office. His supervisor, Brad Manke, has been in law enforcement for the about same amount of time. Manke is currently the chief deputy, and is running for sheriff in the upcoming election. So what does Kiley Johnson have in common with Mike Swim and Brad Manke? They’re all besties. Officers should avoid regular or continuous association or dealings with persons whom they know, or should know, are racketeers, sexual offenders, suspected felons, persons under criminal investigation or indictment, or who have a reputation in the community for present criminal behavior, except as necessary to the performance of official duties or where unavoidable because of other personal relationships to the officer. 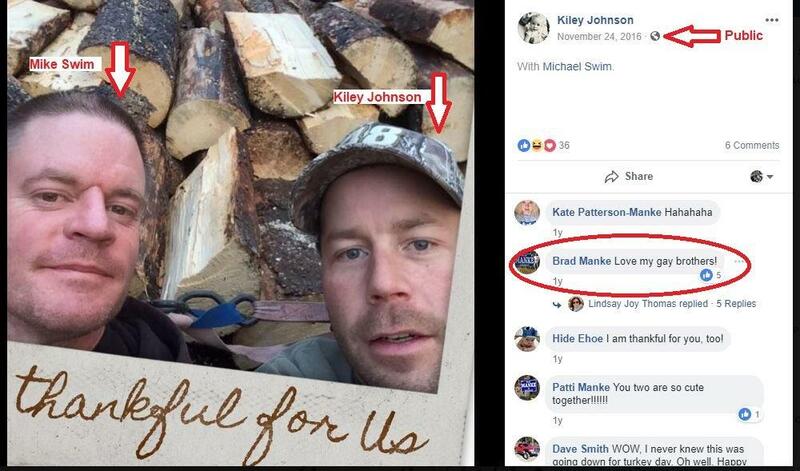 In the above screenshot taken from a PUBLIC posting on Facebook dated November 24, 2016, you can see that they do indeed hang out, and that Brad Manke is not only aware of it, but has a comment concerning the image. 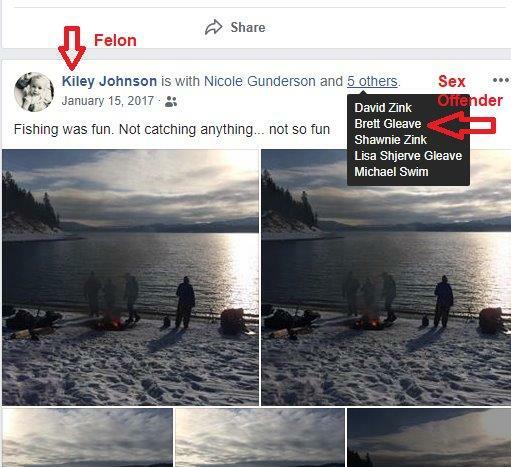 On April 1, 2018, Kiley Johnson, per a police report, staggered into a gas station in Colville, Washington to purchase beer. Attendants at the station observed Mr. Johnson, determined he was drunk, and called dispatch. It is stated in the witness reports obtained through the Public Information Act that Colville City Police Officer Russell Chartrey arrived a couple of minutes after the call was placed. According to police documents (Case #X1801323), Mr. Johnson blew a .232 in the PBT device. It is considered driving under the influence at .08. Officer Chartrey advised Mr. Johnson “he was under arrest for DUI and driving on a suspended license” per the report. This time, he was charged with DWLS 1st Degree: “This is the most severe DWLS charge in the State of Washington. 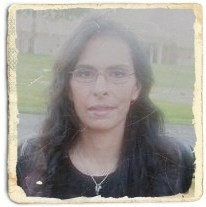 A person who has been charged with DWLS 1 is being accused of driving after her [sic] license was suspended for being an [sic] Habitual Traffic Offender (HTO),” per the website of Milios Defense, DUI attorneys in Seattle. This would be Johnson’s fourth DUI according to background check records, and his fourth charge of driving without a license. 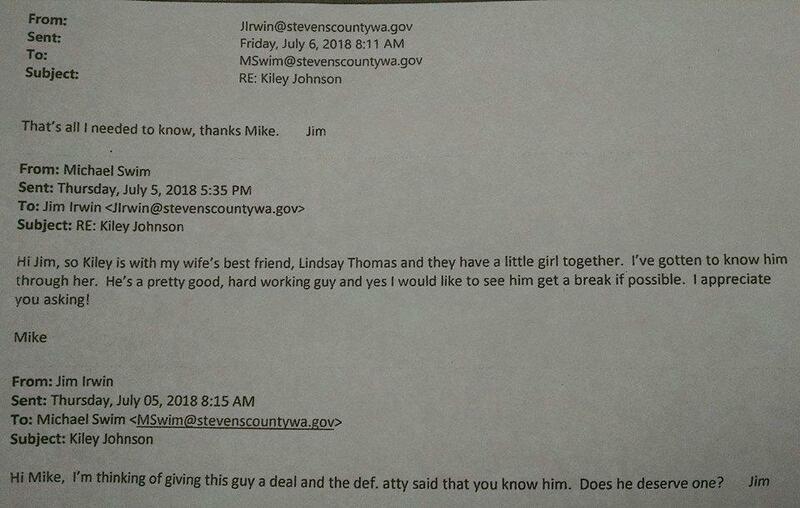 Perhaps Mr. Johnson is a hard worker, and maybe he is no longer involved in the other types of crimes he plead guilty to over a decade ago. But clearly, there continues to be a problem with drinking and driving. How is the public being served and protected here? There are other incidents involving Kiley Johnson, Mike Swim, and Brad Manke, but no one is willing to come forward to substantiate them out of fear of retaliation. 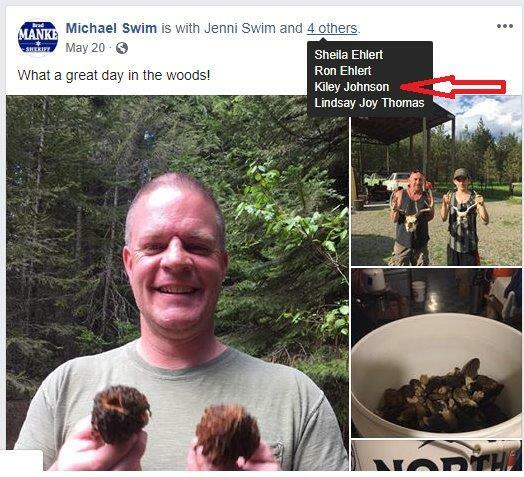 Luckily, public social media postings and the Public Information Act of the State of Washington have enabled some of these incidents to be discovered.